2. Empty the sachet into a bowl, adding 215ml of boiling water, mixing well. Add a large knob of butter if desired. 3. 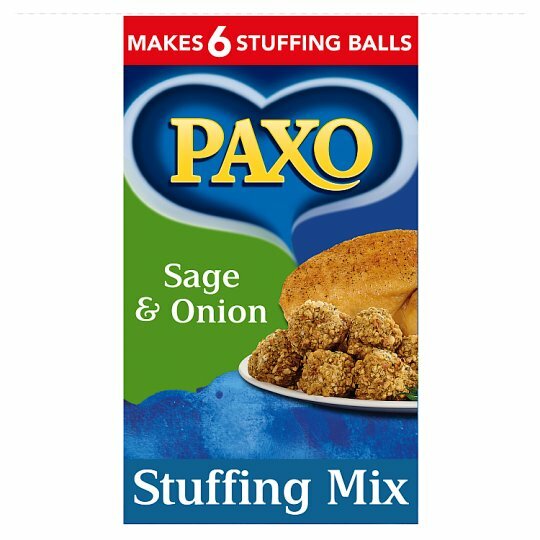 Leave to stand for 5 minutes then place the stuffing into either an ovenproof dish or alternatively form into stuffing balls on a greased baking sheet and bake for 25-30 minutes.